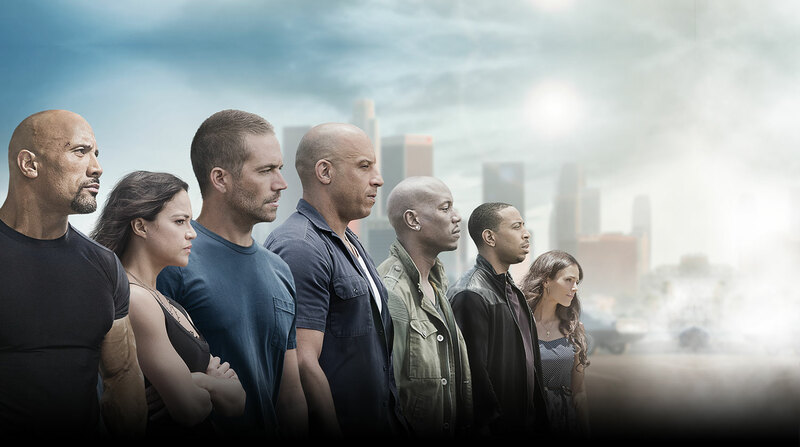 We went to see Fast and Furious 7 at the cinema this week. I haven’t seen any of the previous films in the series, so I can only comment on this one film, which managed to annoy me almost immediately (for reasons I will get around to telling you about in a minute). Not only is it totally unbelievable (I know, it’s a film, use your imagination), but it has to win the prize for the film with the most gratuitous violence I’ve seen for a while. The amount of destruction in the film was also staggering. As a women with a vague interest in nice cars, the really annoying thing is its stereotypical portrayal of men and women: men whose cars are an extension of their masculinity, and women who are objects to be gawped at by the men when they aren’t playing with their cars. OK, so there’s a woman on the team, but I get the feeling she’s only there because she’s married to the ‘alpha’ (really, are we using this word?) male (though those of you who have seen the previous films may have more to say on this). She’s one of few women seen actually driving a car. Otherwise, particularly at the car races, the women are scantily clad and become objects of desire, much like the inanimate cars. The men are steroid-pumped skin-heads or super-fit fighters. Even when the film goes some way to subverting gender stereotypes, having a(n attractive) female hacker (who also manages to have an extremely fake sounding British accent, despite the fact the actress is British), she is immediately objectified – and also bikinified – by two men on the team who discuss their prior rights to her (do men actually talk about women like this?). The interesting part of the film was the God’s Eye technology, where data is collected and collated from every device that has a microphone, camera, or GPS, and can find people in real time. If this technology exists in fiction, how long before someone attempts to invent it in reality? (This last thought I must credit to my husband). It makes me think about Google’s collection of any available data, but also reminds me of the recent fuss around Samsung TVs that were recording everything anyone said in their vicinity, in the privacy of their own living rooms or bedrooms. The collection of data is a worrying prospect, given that the majority of us carry around at least one device with a camera and microphone, and many of us carry more than one. We might not all have smart TVs yet, but it is probably only a matter of time before they are the norm. And lots of us use GPS regularly. It is useful technology: we want our phone to be found if it is lost, but we probably don’t think about checking in on social media with our location. At least this is deliberate on our part though. What about if our location could be tracked all of the time by our phones, like the app designed for parents to keep track of their children by GPS. Is this an infringement of their human rights? Or just good (if intense) parenting? If you don’t mind the violence or gender stereotyping, it is quite an entertaining film. It didn’t do it for me though.